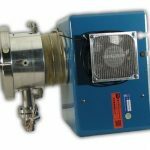 RF Charge Exchange Ion Source (Alphatross) - National Electrostatics Corp.
A positive RF source injects immediately into a compact rubidium charge exchange cell. 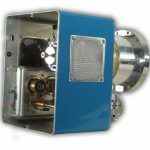 The Alphatross source and oscillator are housed in an RF shielded box. 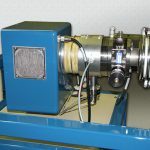 The NEC RF charge exchange ion source, henceforth referred to as the Alphatross source, was designed primarily for the production of He– beams for injection into tandem accelerators, but can produce several other ion beams as well. 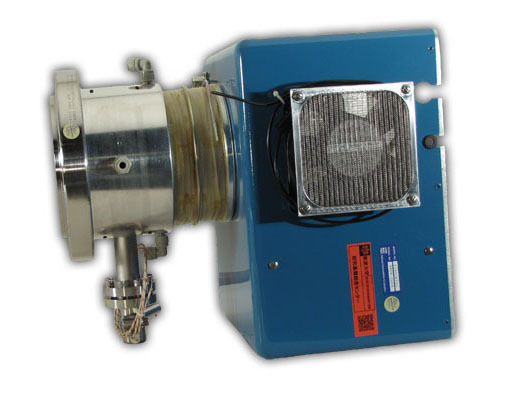 Modern MeV ion beam analytical instruments require a long lived and simple to operate source of He–, H–, and NH–beams. The Alphatross source satisfies these requirements. The only way that the He– ion can be formed is by a two step process that involves the production of the He+ ion followed by charge exchange using an alkali metal vapor. Helium gas (for He–) or a gas mixture (for NH–) is bled into a quartz bottle. An RF oscillator is connected to the quartz bottle to disassociate the neutral gas. The beam exiting the quartz bottle is immediately injected into a rubidium vapor charge exchange cell. 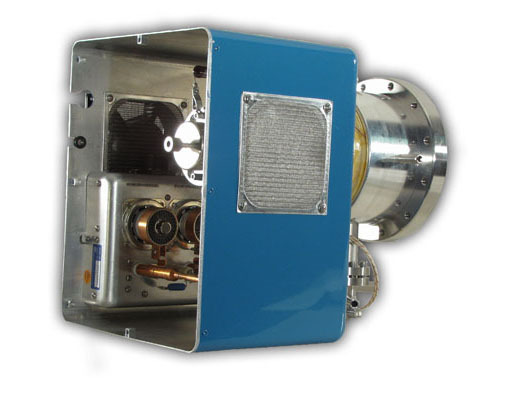 The entire Alphatross source is housed in an RF sealed enclosure. Below is a list of beam currents that have been produced by the Alphatross. 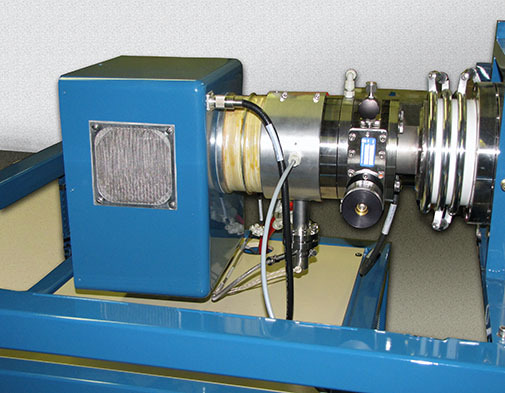 This list does not represent the limit in capabilities of the ion source. All elements that can exist in the gaseous form and form negative ions could be considered candidates for ion production in the Alphatross. Please contact NEC with any questions about potential applications or performance.